A sleek design inspired by the vintage favourite, MidCentury Drama is an upscale version of the classic look. Taking the famous modern lines but adding polished finishes delivers a luxurious look that is still authentic. 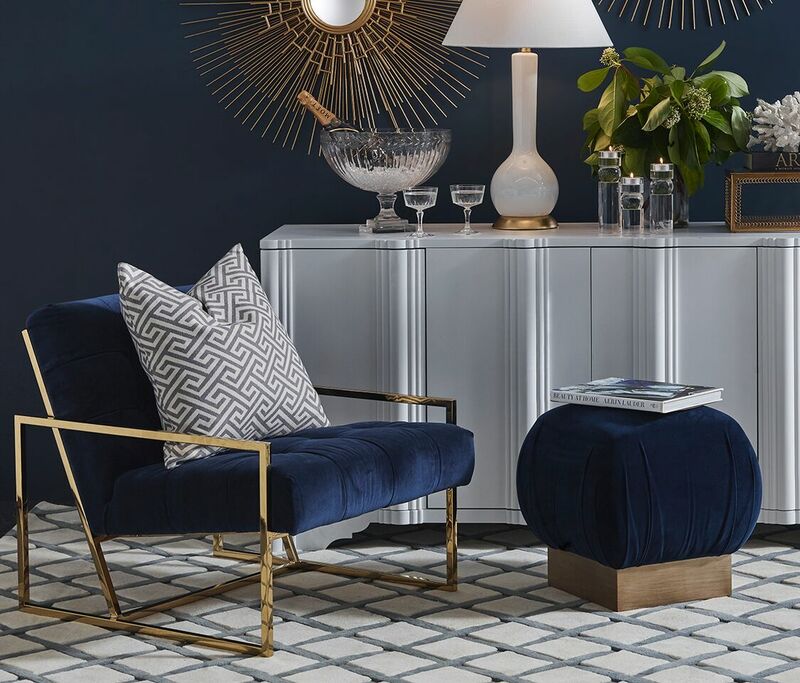 Posh textures like velvet, plush carpeting, and crystal create a high class space where you can entertain or pampering yourself. Though each piece is wholly opulent, there is an ease and accessibility to the look. It’s a perfect blend of past and present, cosmopolitan and relaxed. At The Interior Designer we can work with you to create any look you want. We have a beautiful range of hand-selected furniture, decor items, and accessories to take your room to the next level. We also offer comprehensive design services to transform any space in your home. When you are ready to achieve your dream look, contact us to learn how we can help.